The Northern Ireland Executive has pledged to give children and young people across Northern Ireland the best start in life. One way they will do this is by developing a new Strategy to help families and parents get the right support when they need it most, so they can raise happy and healthy children. 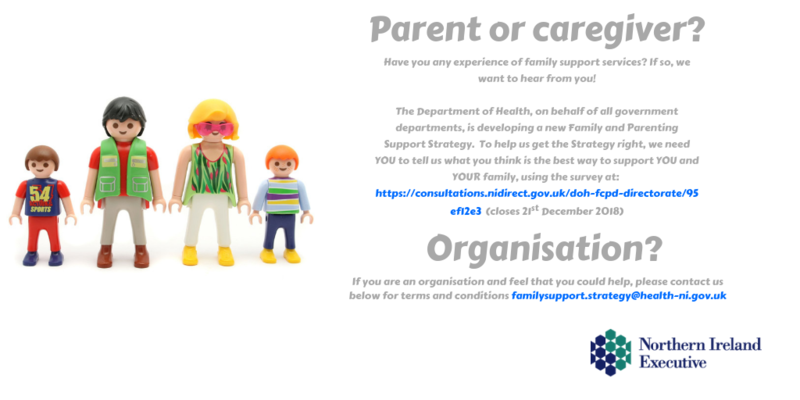 To help get the strategy right, they need you to tell them what you think is the best way to support you and your family. To take part in the survey click on the link below. This entry was posted in Family Support NI, News, Parents and tagged Family Support NI, news/events by Michael. Bookmark the permalink.